Less than three years since the episode aired, HotShot has partnered with Amazon. Beginning July 1, 2018, HotShot hot coffees and hot chocolate are being fulfilled by Amazon, and that includes HotShot subscriptions via Amazon Prime. HotShot has also partnered with numerous grocery stores, resorts, movie theaters, and sporting arenas including Madison Square Garden. HotShot is available in the US in five flavors – French Vanilla, Caramel, Espresso, Hot Chocolate, and Black. A six-pack of 8 fl. oz. cans is being sold on the HotShot website for $26.99. 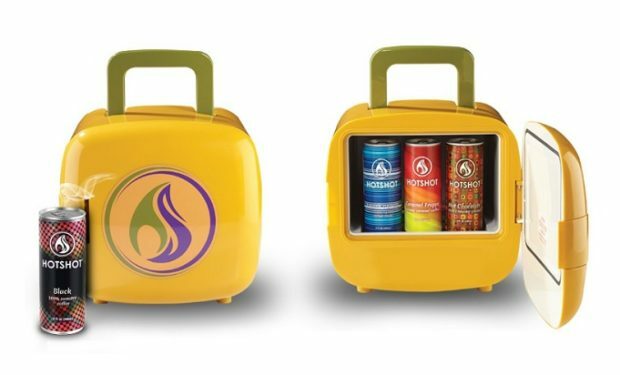 A 12-pack with HotBox included is selling for $69.99 (shipping included).